Dubai, UAE, October 2016 - Representatives from Aristo Developers and Mahandru Associate have Announced this week that the two companies will be collaborating on the increasingly popular Cyprus Residency and Citizenship by Investment programs to properly serve the MENA region. Aristo Developers Aristo is currently a leading force in Cypriot Real Estate with over 250 projects nationwide and 50 new projects currently in the market, while Mahandru Associate’s expertise lies in different offshore investment and migration programs specifically designed to meet the need of the Middle East community. The collaboration has come about in the right time while a significant count of investors is showing particular interest on investing in Cyprus in the sector. In recent weeks, Mahandru Associates began discussions with multiple reputable law firms in Cyprus to ensure the smooth process of the upcoming Real Estate investment projects. Expressing Mahandru Associates commitment to the new partnership, Managing Director Mr. Raheel Sheikh said, “We are delighted to announce this partnership that will help enhance the solutions we deliver to our clients.” MD has further expressed the company’s commitment in making the new partnership fruitful in the quest to deliver the best services for its clients. “Aristo has done a great job in making the procedures are simple and straightforward as possible, and we are very impressed by the efficiency and hospitality that we experienced during our recent visit to Cyprus,” he added. The Aristo delegation also expressed their delight at the new venture and expressed their commitment to best promoting and coordinating investment plans in line with the special interests of the region. According to Aristo’s CEO, and Chairman, Theodoros Aristodemou, the newly established collaborations with the best in the sector will enhance the company’s capabilities in facilitating the expansion of foreign investment relations between the MENA region and the continent of Europe and ensuring a direct, secure and efficient network for investors. 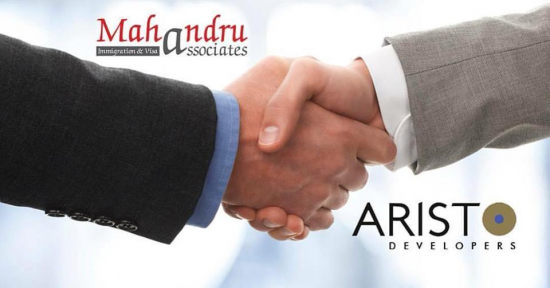 Mahandru Associates is a multinational conglomerate, with global reach and business roots stretching back half a decade. Thanks to the resilience of its forward-looking vision and a robust adaptation to an ever-changing economic environment, Mahandru Associates has maintained stable growth and is in a condition of strength with which to enter a new era of expansion. 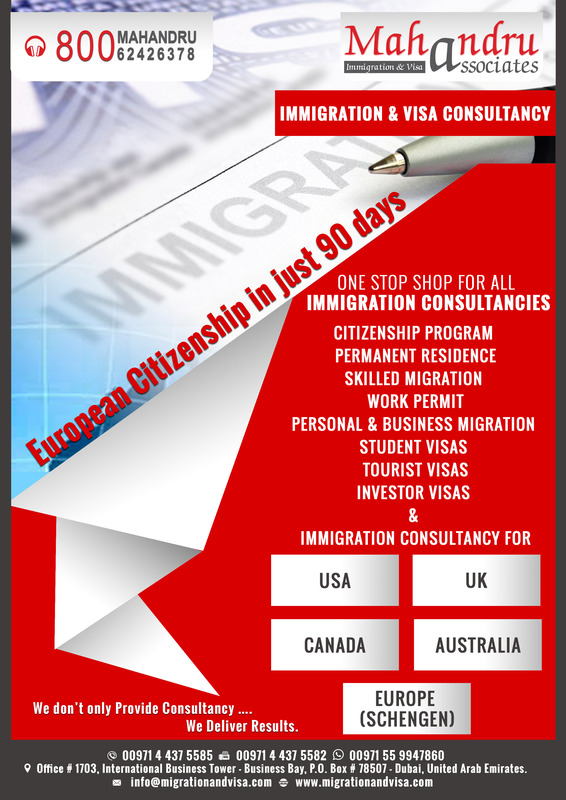 Our activities span Immigration & Visa Consultancy, Investment Management, Financial Consultancy & Risk Management, Events & Marketing Management, PR & Advertising Consultancy and Management, E-Commerce shopping portal Management, Brand Management, IT Consultancy & Management, Web / Software Designing and Development. We consistently provide informed consultations and first-class service tailored to meet each client’s unique requirements. Clarity and transparency remain our main objectives. Mahandru Associates is a one stop shop for all the Immigration & Visa Consultancy, providing Investment & Migration Management & Consultancy Services to aspirants, planning to travel & relocate to different world destinations. 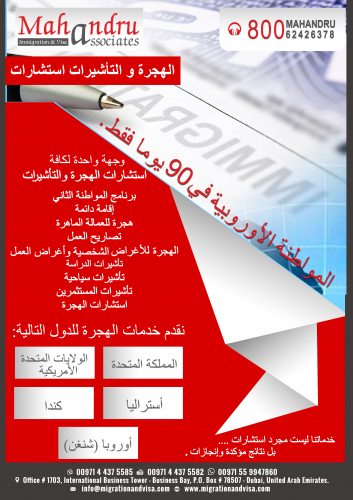 We don’t only Provide Consultancy …. We Deliver Results.!! !